Here in this Guide, we’ll show you how to install and download Google Apps Gapps for Marshmallow & CM 13 Custom ROMs. Gapps or Google Apps are the compressed zip file which included all the Google apps like Play Store, Gmail, Youtube, Google Play Music, Calendar, Hangouts etc. Whenever you flash some custom ROM like Android 6 Marshmallow or CM 13 custom ROMs you need to flash these Gapps, zip file on your phone. Without these Google Apps Gapps file, you can’t use any Google services on your Android smartphone. To install and Download Google Apps Gapps on your phone all you have to download the zip file from the below mention links and flash it with the custom ROM. To install these Zip file on the phone, you need a TWRP recovery or Custom Recovery. 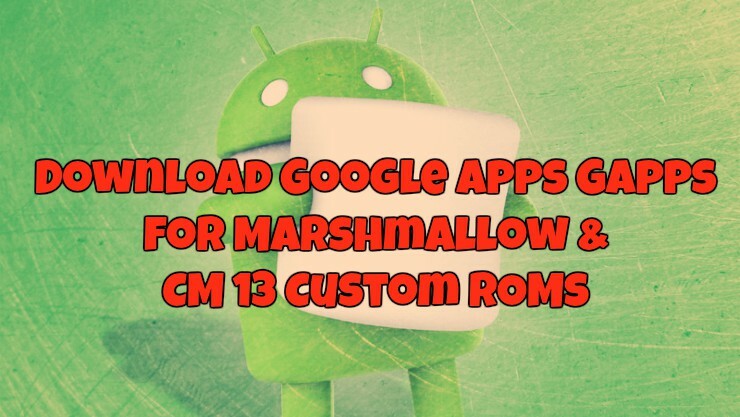 So let us take a look how to get started and how to Download Google Apps Gapps for Marshmallow & CM 13 Custom ROMs. The process is very simple and takes a few minutes to complete the whole task. All the Gapps Zip file are updated and works fine on any Android 6 Marshmallow or CM 13 ROMS. Here you can find Google Apps Gapps for both ARM and ARM V7 Processors. ARM is the most popular 32-bit platform for mobile devices, and ARM 64 is new 64-bit platform, used on latest Android smartphones like Nexus 5x and 6P. 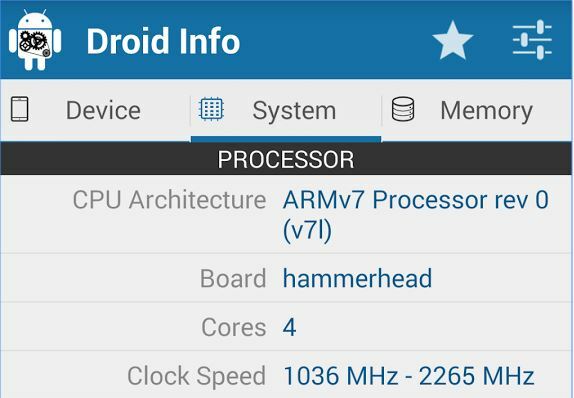 To check the ARM processor of your phone download and install Droid Hardware Info from Google play store. 2. Download Google Apps Gapps Nano Package for Marshmallow & CM 13 : – In this package you will find the core Google system base, off-line speech files, Google Play Store, Face Detection for Media, Face Unlock, Dialer Framework and Play Store. 3. Download Google Apps GApps Micro Package for Marshmallow & CM 13 : – Includes all the popular Google Apps like Gmail, Calendar, Search, Play Store etc. 4. Download Google Apps GApps Mini Package for Marshmallow & CM 13 : – All the Poplar application which you find in latest Android Phones. 5. Download Google Apps GApps Full Package for Marshmallow & CM 13 : – Similar to the Google Stock Package above except that it does NOT include Google Camera and Google Keyboard and will NOT remove your stock/AOSP Browser, Camera, Email, Gallery, Launcher, Keyboard, SMS App, Pico TTS or WebView. 6. Download Google Apps GApps Stock Package for Marshmallow & CM 13 : – It includes all the Google Apps that come standard on the latest Nexus Phone. 1. Transfer the Gapps Zip package file on your phone. 2. Reboot your phone in recovery mode. 3. Then flash the Gapps Zip file after flashing the Custom ROM on your phone. 4. Reboot your phone and Enjoy Google Apps on your phone.